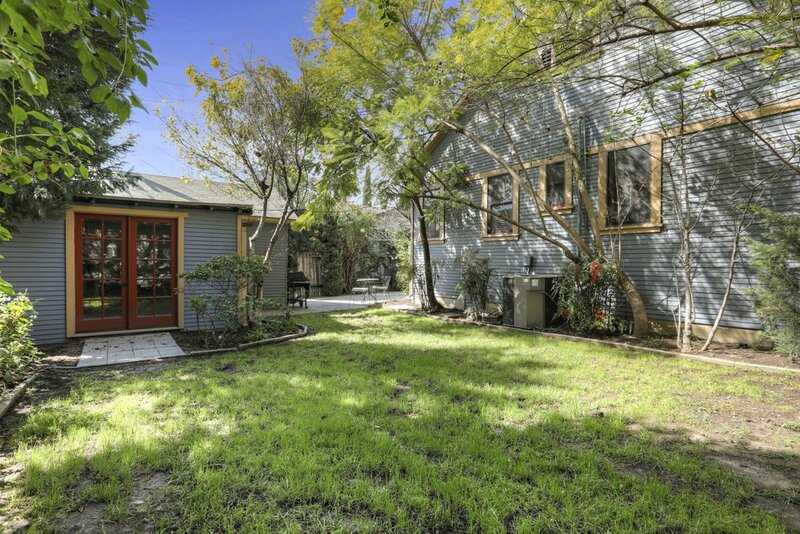 Charming & Colorful 1920 Craftsman in Idyllic Setting Surrounded by Lush Gardens in Historic Enclave of Melrose Hill. Protected by the HPOZ & Designated a Mills Act Property come discover this Hidden Oasis in the Center of the City yet resonating with a Small-Town Ambience. Wrap-Around Front Porch welcomes you into the 2000+ Sq ft of Living Space. Living Room Surrounded by Windows with Fireplace. Formal Dining Room, Sun-Lit Breakfast Room & Cozy Kitchen w/Large Service Porch. 3 Gracious Bedrooms w/Ample Closet Space & Master Suite w/Walk-In Closet. Detached Garage used as an Office or Potential Guest Quarters. Authentic Period Details Inc. Refinished Hardwood Floors, Recessed Lighting & Crown Molding. Mature Trees, Lush Foliage & a Wonderful Neighborhood Community Define this Special Property!